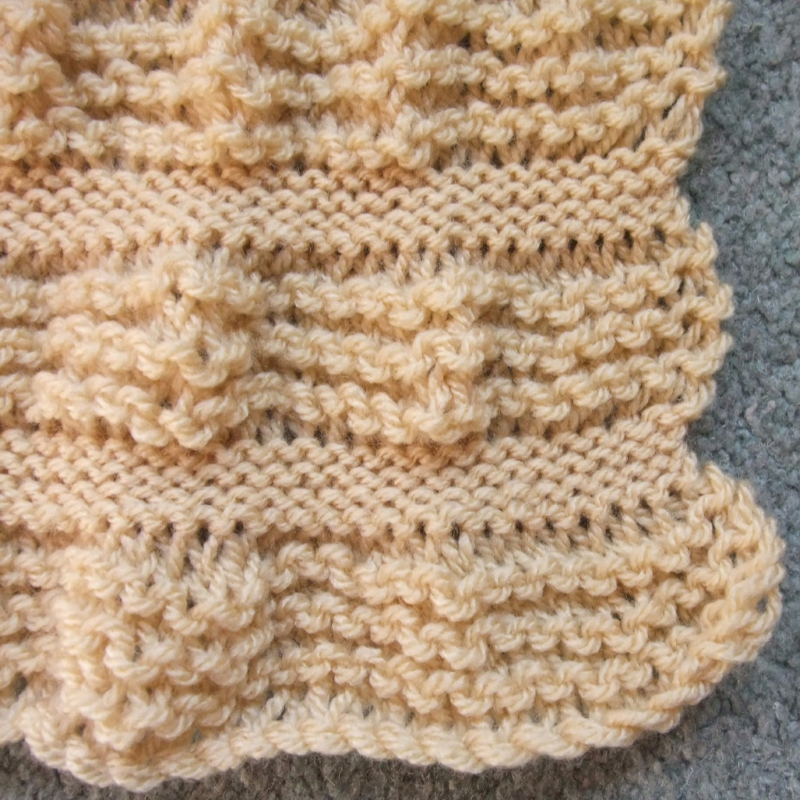 Change to 3mm (UK size 11) needles and knit 7 rows. Alternate the needles every 7 rows until work measures approx 26” ending with the 7mm (UK size 2) size. 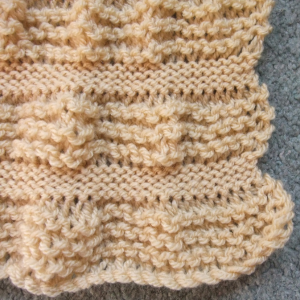 If you do not have 7mm needles, this pattern is still quite effective using 5mm (UK size 6) and 3mm (UK size 11) needles but the edge will not be quite as wavy.